Born and raised in Norwood, Rep. Brigid Kelly learned early on the importance of a strong community. Brigid attended Saint Ursula Academy, earned an undergraduate degree from Xavier University, and a Master of Arts degree from the University of Cincinnati. 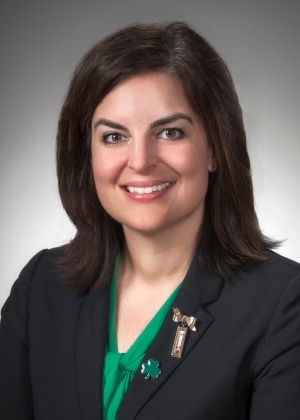 As a former city council member in Norwood and current representative for men and women at the United Food and Commercial Workers Union (UFCW), Brigid wants to build on the experience she’s gained from both her professional and personal life to help improve the lives of everyday Ohioans. As state representative, Brigid Kelly is focused on ensuring that our children are receiving the best education by making investments in local schools, holding corporations accountable for taxpayer investments, and pursuing policies important to families, like paid sick and family leave. Brigid believes it’s getting harder to support a family, not easier. That’s why she puts families first and politics last to build a better Ohio.